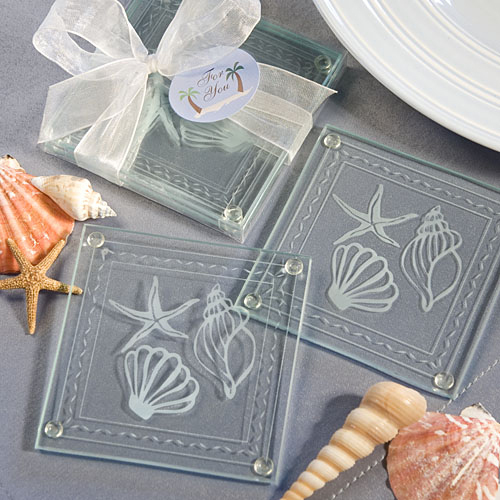 Each beautiful beach themed favour set contains two square clear glass coasters - each measures 3.5" x 3.5" and features a permanent white etched design of a clam shell, conch shell and a starfish, along with a playful wave patterned border. A sure favourite among the beach loving crowd. Each favour comes packaged in a clear plastic box tied with a white organza bow and an attached beach themed round "For You" tag.